The Songwriting Charity’s very first Nightrider London event is round the corner. Our eighteen Nightriders are primed and ready for the open roads of London. Tooled up with puncture kits, inner tubes, padded shorts, electrolyte tabs, new bicycles, rhubarb & custard gels, water bottles, multi-tools, lights, cameras – ACTION – the team is ready and we are proud of each and every one of them. They have worked hard, trained hard and have been supported by generous sponsors and donors. Team SAMSON are doing an exceptional job! We offer our thanks to everyone involved, especially our sponsors and donors for their support and encouragement. Nightrider London promises to be an exhilarating experience and a night to remember for all involved. If you receive Google Alerts or equivalent notices about bullying or anti-bullying work and news, you’ll appreciate why we do this work, particularly why we dedicate ourselves to the delivery of Bully Beat (and our many other programmes). Bully Beat is more than a project, a programme, a workshop, it’s an intervention. We are intervening through the intensive, reflective and creative process of songwriting, and aided by the very latest music technology. We are intervening not in a reactive way but in proactive and preventative way. During our workshops, children develop their understanding of bullying through activities and exercises that call on them to reflect on choices they make, the ways in which they behave to one another and the impact those choices can have. Confidence is boosted in a measurable way through participation in singing. We see and document significant positive shifts in children’s pride in literacy work. The benefits and impact are tangible. Every time a donation is made to any of our Nightrider Bully Beat fundraisers this is the kind of impact you help us have on the lives of children we work with. You should be proud of that. Just look at the infographics below for the proof in our songwriting pudding! If you haven’t done so already and would like to, please donate to our Nightrider appeal. The more money we raise, the more children and schools we can reach out to. Our team of cyclists deserve the support as do our beneficiaries. Thank you. Statistics drawn from evaluation data collected during workshops facilitated by Nathan, Ben, John, Sarah, Kat, Esther, Amy. Illustrations by Ben O’Sullivan, Director of Programmes. 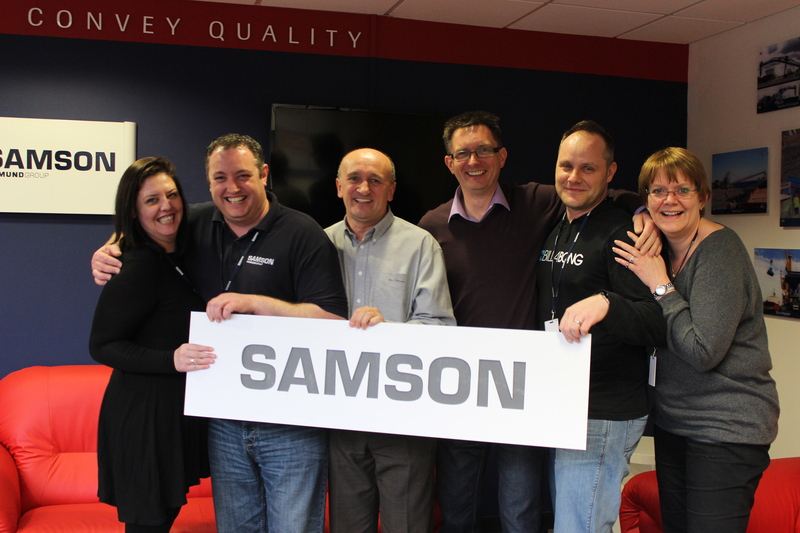 Workers from SAMSON Materials Handling Ltd in Ely have teamed up with the Songwriting Charity to cycle 100km round London overnight on June 6th to help raise £10,000 to beat bullying in schools. The funds raised will mean more than 1000 children in primary schools across London, South East and the East of England will benefit directly from participation in the charity’s highly regarded anti-bullying songwriting project, Bully Beat. The Songwriting Charity will use the funds raised from the Nightrider challenge to deliver Bully Beat songwriting workshops to schools in and around Ely, and other locations local to where the charity’s Nightrider fundraisers live and work. SAMSON are part of the internationally renowned AUMUND Group, which is based in Germany. For over 40 years, SAMSON Materials Handling have been designing and manufacturing bulk material handling equipment. We are dedicated to providing engineering solutions that are world-class in their concept, execution and delivery. With more than 3,000 installations worldwide, our products are defined by their quality, mobility, flexibility and wide range of application. About the Nathan Timothy Foundation – Songwriting Charity: The work of the Nathan Timothy Foundation ‘Songwriting Charity’ addresses the emotional health and wellbeing of children and young people using songwriting and music technology. Working from bases in Cambridgeshire, Kent and Gloucestershire, the charity’s Bully Beat songwriting project has been designed to enthuse primary aged children about the process of lyric writing, singing, music arranging and contemporary production whilst promoting a serious anti-bullying message. 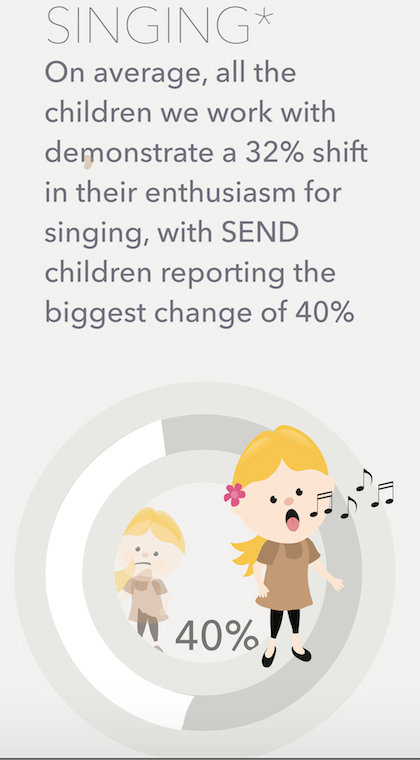 To date children’s songs written across a range of the Songwriting Charity workshops have been streamed more than 212,000 times on the charity’s SoundCloud, and their music videos viewed more than 145,000 times via the Songwriting Charity’s YouTube Channel. A few weeks ago, we received an email from a chap over in the US who suggested a way to drive awareness, interest and possibly generate donations that would go towards the delivery of songwriting workshops. A musical collaboration between LA based DJs, musicians and producers called Clinton Vansciver and Bijan Malaklou that would benefit the charity in a number ways was we thought an excellent idea! Keen to say thank you for taking such an interest in what we do at the @SWCharity @JohnMichaelQ arranged a Skype call with @BijanMalaklou and after about 90 minutes, we agreed a timetable, objectives and outcomes from this partnership. Now proud owners of our limited edition One Song One Day badges, Van Sciver and Bijan Malaklou have released their melodically driven, feel good anthem — “Smiling Faces.” And to celebrate the release of this new track, @Van_Sciver and @BijanMalaklou have officially partnered with us to help drive awareness of our work. Each download will help fund workshops for children to learn the art and craft of songwriting. Download your free copy of “Smiling Faces” now. When you do, don’t be shy, share the love and show your appreciation for these guys. As a result of the release of Smiling Faces, we have seen a surge in Soundcloud followers, subscribers and video views on our YouTube Channel, and plenty of love on Twitter. Get those dancing shoes on and throw some shapes – this is no sitter, so get ready to move! PROJECT K 2014 – in loving memory of my sister Kate. Who would be interested in supporting the work of The Songwriting Charity by getting involved in this? It’s about you spending time with loved ones – taking them for a walk (simple or challenging) and raising as much money as possible to help us provide fully engaging one day songwriting workshops for children all over the UK. There is no fee to enter and no minimum fundraising amount – you can get involved easily! Just like this post or comment, leave a message, send me an email, or speak to me in person or contact me via carrier pigeon and I’ll send you some further information. Let’s put the ‘fun’ back into ‘fundraising’!